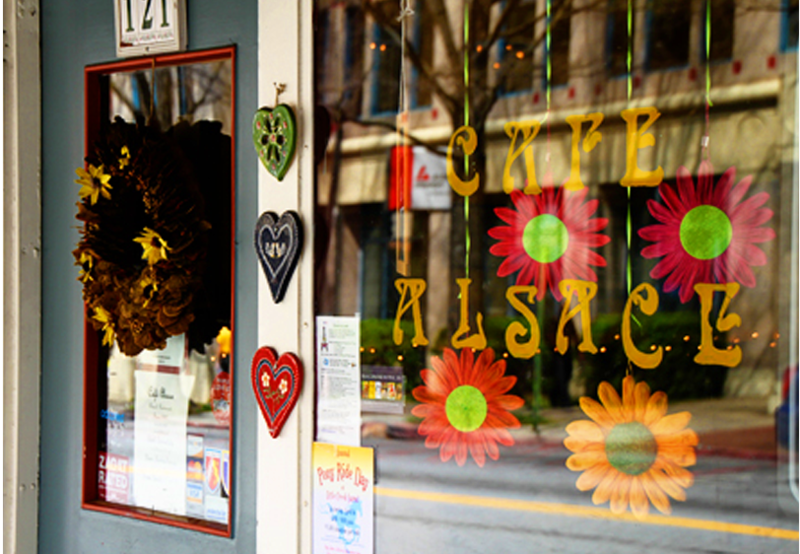 Café Alsace opened in 1997 by owner Bénédicte Cooper, a native of Alsace. Alsace is the eastern region of France on the border of Germany and Switzerland. You find a strong Germanic influence in Alsacian food (Sauerkraut and pork dishes, spaetzle, onion pie). 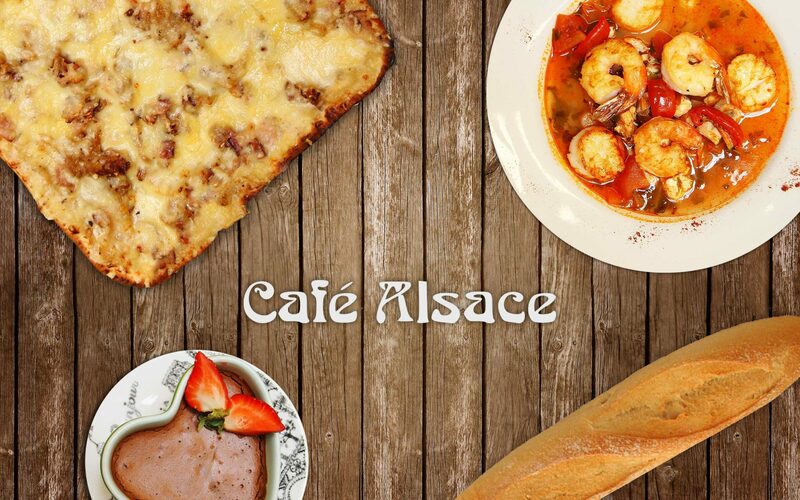 Cafe Alsace is a comfortable and friendly sidewalk French restaurant that had been serving Lunch, Dinner and Sunday Brunch to the Decatur community for two decades. Our wait staff is fluent in both French and English and is happy to give more details about the menu and to recommend wine pairings. We also offer a range of items to go : pâté by the pound, whole quiches, boeuf bourguignon, spaetzle, mousse au chocolat, etc. Cafe Alsace brings the French experience to your kitchen and your private events for up to 20 people. Call us to order, and set a pick up time.